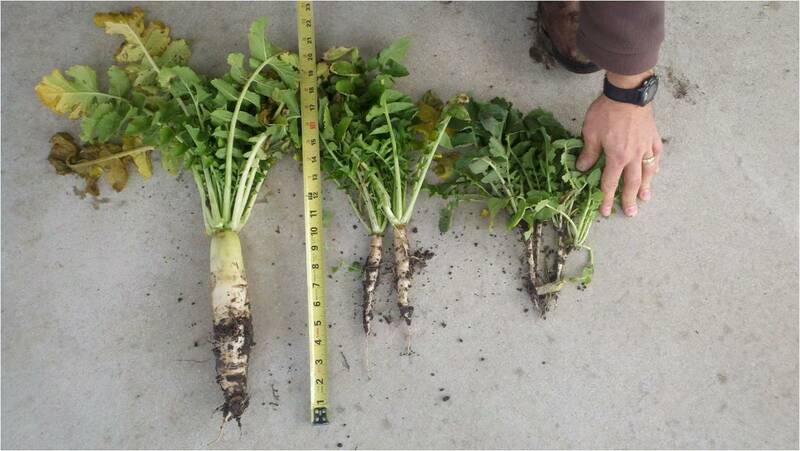 The cover crop radishes varied in size with the amount of moisture in the field in the fall of 2010. 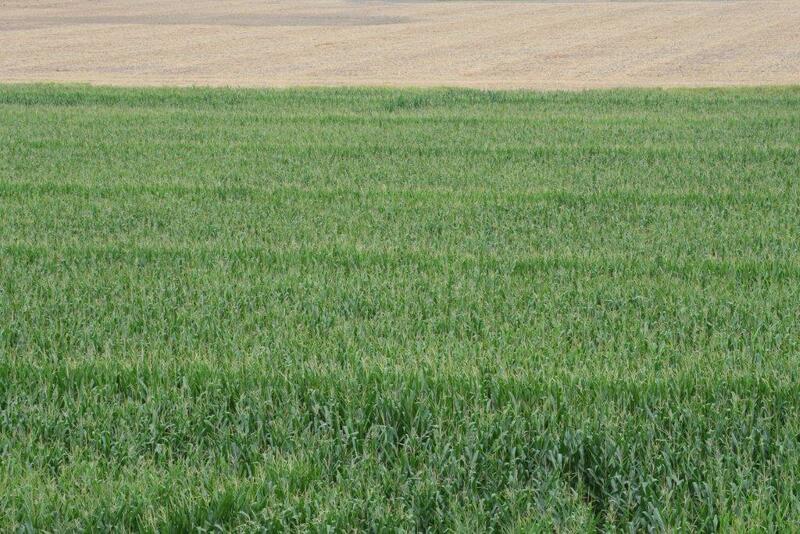 My good friend David from Mercer County, Ohio is a great cover crop advocate. 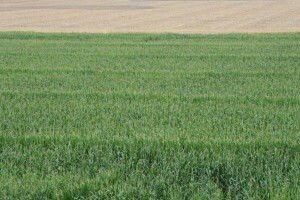 Over the past few years he and his father-in-law have begun planting cover crops after their wheat crop is harvested. 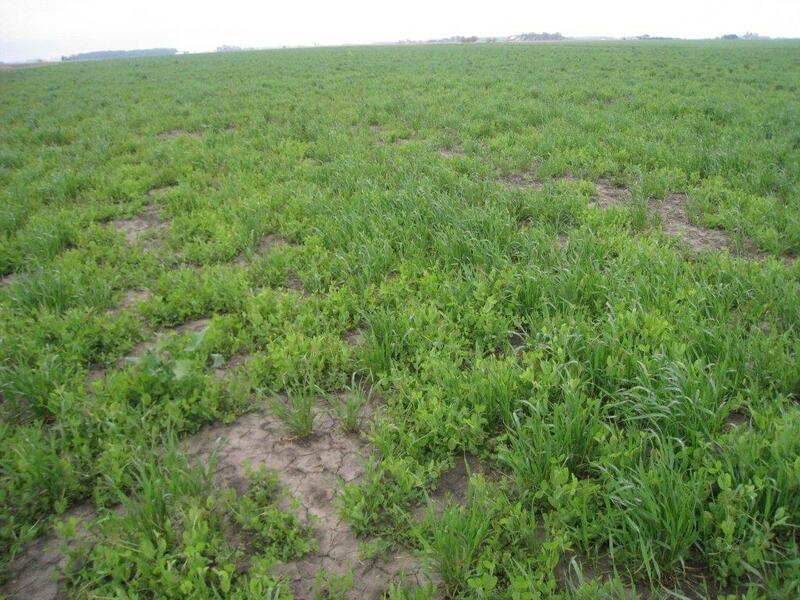 The first year he planted oats and cover crop radish and this past year they planted a mixture called N-Vest® Groundbreaker Mix (a mixture of Austrian winter peas and cover crop radishes). The summer of 2010 set some records for being exceptionally dry. Neither the peas nor radish grew the way anyone hoped for, but David did find radish roots around 20 inches deep. The peas were less than spectacular but still acceptable for as dry as it was. No-tilling corn into this mix of peas and wheat looked like an easy task in early May when this photograph was taken...but the rains kept coming! This is not what was expected! 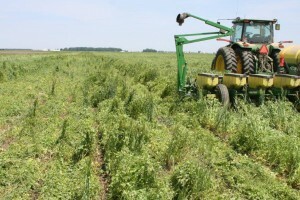 Early June 2011 was wet and the peas were tall. As I have reported in several previous posts, the weather in NW Ohio and the Eastern Corn Belt was the wettest in 120 plus years of keeping records. 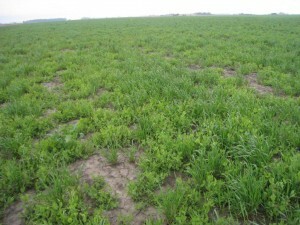 The Austrian winter peas and volunteer wheat over-wintered. 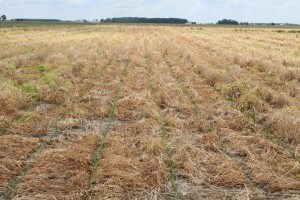 In early May David was convinced that they would no-till directly into that “mix.” But the rain came and came often! By early June the peas had grown quite a bit, like up to four feet tall…and that is what they no-tilled into. Actually, David said it was the “most mellow soil” he planted into all spring. 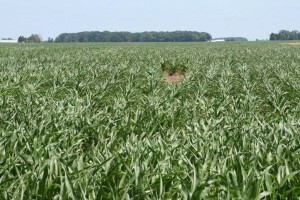 Just a few days after planting David sent me the photos of a beautiful stand of corn where the peas had been over 4 feet tall. 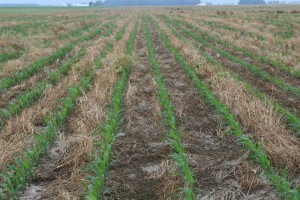 Three weeks after planting the corn looked great and the cover crop was dead. This photo was taken June 21, 2011. 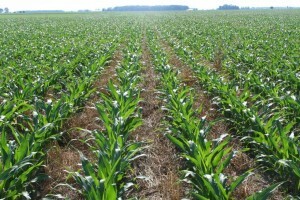 Exactly four weeks after planting and the corn looks remarkable. So now the neighbors are wondering about this David “kid” that married into this operation. Maybe he is not as foolish as they thought earlier in the spring! Exactly four weeks after planting the corn was over “knee high by the 4th of July” and now the neighbors are asking what that cover crop was! In mid-July, six weeks after planting and the weather has been HOT and dry...but according to David, the field "shows less stress" than conventionally tilled field that had no cover crops. But the dry summer of 2010 was now being duplicated by another dry summer and the summer of 2011 has been much hotter than 2010. So how has the no-till corn fared during these challenging conditions? Very well, actually. There was less than 2" of rain in a very hot July and yet the field looks quite good considering the heat and dryness that it has experienced. So will David plant cover crops again? Yes! In fact they are already in the ground and waiting for rain to emerge. David has been very excited all the way through this process as he has been confident he is doing the right thing for his soil and the future of his farming operation. Thanks to David for providing the photos and information to encourage all of us that cover crops are an exciting option that we should all consider. 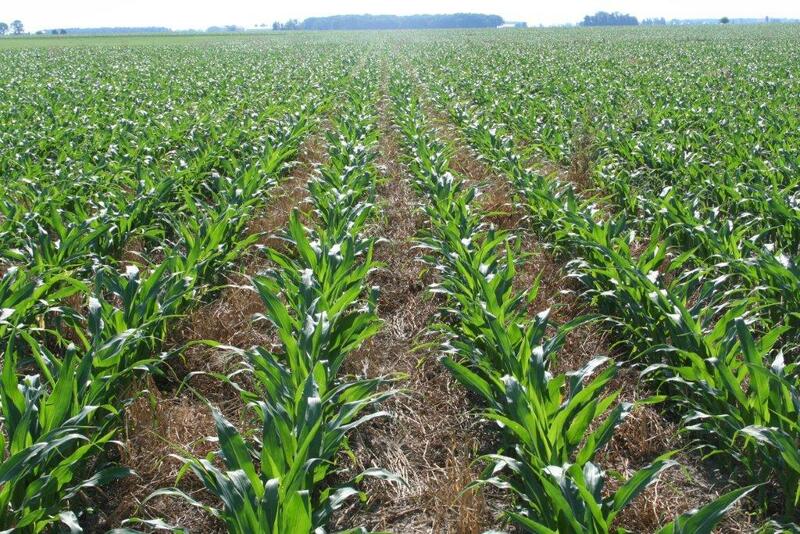 Dave, if David doesn’t mind sharing his information could you please keep us posted on how this field yields for David compared to his similar fields that were not planted with cover crops? It will be interesting to see if the four foot peas helped the soil retain more of the spring rain water, hopefully maintaining or boosting yields during the stressful year. how was the pea controlled? 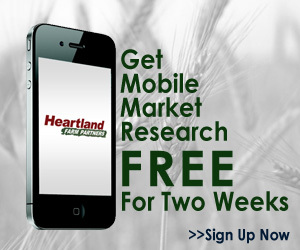 was it sprayed with an herbicide at the same time as corn drilling? Danny, I’ll have a post on that really soon. 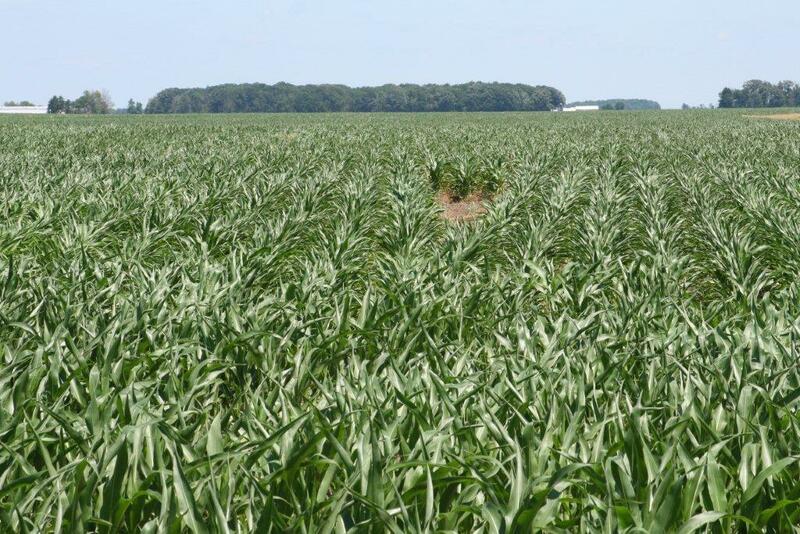 I did find out that the corn planted in this specific field yielded over 200 bpa even though it was planted late and VERY dry most of the summer. That was surprising and awesome!